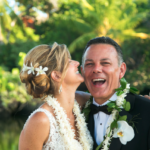 This couple was married at Palm Grove at the Fairmont Orchid on the Big Island of Hawaii. 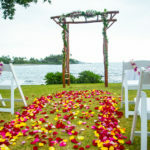 The reception was set up right on the beach with beautiful flowers, purple and green, and palm trees surrounding. 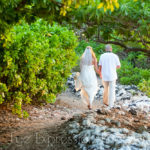 The day was filled with beautiful moments between the guests and the bride and groom; many sweet smiles, hugs and laughs.